In Málaga, Spain in May, the Health Matters International Convention included the 4th Congress of the Oleocanthal International Society and the awards ceremonies for the World Best Healthy EVOO Contest and the Health and Food Awards. Scientists discussed research, and some of the world’s healthiest olive oils, including three from Greece, received awards. 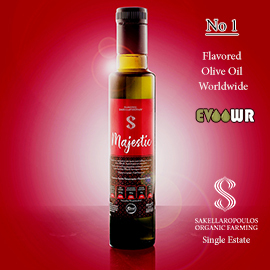 In the final results of the World Best Healthy EVOO (Extra Virgin Olive Oil) Contest, three Greek companies were among the top ten, with Kasell coming in at #5. Eirini Plomariou was distinguished as first for Fatty Acid Balance, the Therianos Family came in first for Oleocanthal Content, and Kasell was listed in the top ten for both of those categories as well as in the third category, Total Phenols—the only company among the top ten in all three categories. Focused on large olive oil companies with a major impact on the market – those able to reserve 4000 kg of olive oil just for the needs of the competition – this contest mainly attracted Spanish olive oils, as well as a few from Greece, Australia, and the USA. 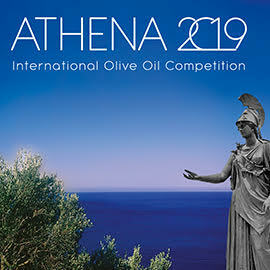 One of the judges, Dr. Prokopios Magiatis of the University of Athens, explained to Greek Liquid Gold that “the World Best Healthy EVOO Contest is a competition for olive oils based on their healthy ingredients” instead of the flavor and aroma that are the focus of most competitions. This includes the healthy ingredients recognized by the European Food Safety Authority (EFSA) in 2012 when they approved a health claim about olive oil that states, “olive oil polyphenols contribute to the protection of blood lipids from oxidative stress.” The EFSA limited this claim to certain polyphenols, including oleacein and oleocanthal, and to olive oils that contain “at least 5mg of hydroxytyrosol and its derivatives (e.g. 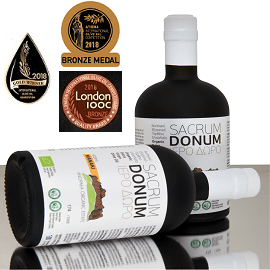 oleuropein complex and tyrosol) per 20mg of olive oil.” The winning olive oils in this contest had far more polyphenols than that, so less of them is required to attain a significant health benefit. Why so much emphasis on phenols? Numerous scientific studies suggest that oleocanthal, one of the phenols found in oil from certain varieties of olives, is an anti-inflammatory and anti-microbial agent that may help prevent or treat such illnesses as Alzheimer’s, osteoarthritis, cardiovascular disease, and cancer. Another phenol found in olive oil, oleacein, is an anti-oxidant that could help the fight against heart failure, hypertension, and oxidative stress. Some studies suggest that oleic acid, one of the fatty acids found in olive oil, may help fight off cancer and autoimmune and inflammatory diseases, as well as helping wounds to heal. 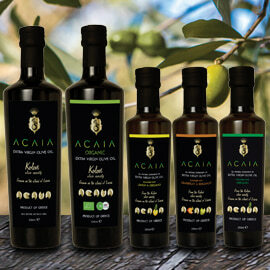 As Magiatis explained to Greek Liquid Gold, “the Health and Food Awards are given by the Oleocanthal Society to scientists/chefs/companies/institutes based on their contribution to the promotion of several aspects related to olive oil, health, and phenolics.” The same Greek producers who won World Best awards were recognized at the Health and Food Extra Virgin Olive Oil Awards as among the “Best Master[s] of Olive Mill / Engineering / Chemistry interested in Healthy Proven EVOO.” Dimitris Therianos of the Therianos Family won the Bronze Award for his work as Master of the Mill, while Kasell received a Silver Diploma and Eirini Plomariou was recognized with a Bronze Diploma. Thanks to Dimitris Therianos and Kasell for sharing the photos used with this article. Thanks to all who provided information and comments. Follow Greek Liquid Gold on Facebook for links to some of the best articles about extra virgin olive oil, the Mediterranean diet, their health benefits, and the Greek olive oil world, as well as recipes with olive oil and photos from Greece. "Olive oil was the largest Greek agri-food export last year and the fourth-largest export overall, according to a new report. Its success has renewed the call from farmers for government backing." Interested for years in "the health benefits of phenolic compounds in olive oil, ... [Athan] Gadanidis had told Dr. Magiatis that they needed a human subject to test the benefits of olive oil in treating prostate cancer. Ironically, he would be that subject himself." With olive oil production considerably decreased in Italy and Greece but increased in Spain and Portugal, this article offers food for thought about reasons and responses. It also notes that quality remains high in Greece and Italy. The International Olive Council newsletter for March opens with a look at developments related to olive oil in Albania, Japan, China, and Poland. It continues with an Open Call for Experts “and laboratory leaders working on possible contaminants in olive oils and olive-pomace oils to express their interest in participating in data collection and method validation.” The newsletter moves on to world trade in olive oil and table olives, with a focus on Japan, the fourth largest importer of olive oil in the world, mostly from Spain and Italy, with imports up by 18% in the first three months of the crop year, compared to last year. More generally, trade in olive oil and olive pomace oil began the 2018/19 crop year with significant increases in the first three months (October – December 2018): “28% in Russia; 25% in Australia; 18% in Japan; and 15% in Brazil.” Table olive trade also increased in some countries. Extra virgin olive oil producer prices remain considerably lower than last year in Spain (25%), Tunisia (18%), and Greece (14%), but much higher in Italy (46%). This Olive Oil Times article avoids the overgeneralizations we see in most publications about the current olive harvest year, showing that the situation in several countries is more complicated than many think. The International Olive Council newsletter for February has a new look and quite a lot of information about past and future meetings (in Egypt, Japan, Germany) and projects (the Horizon2020 project called OLEUM). Noteworthy: “the International Olive Council plans to award 20 scholarships for the university specialisation course in the organoleptic assessment of virgin olive oil (university expert diploma) taught at the University of Jaén (Spain).” Applications are due March 15, and this is open only to those fluent in Spanish, the language of instruction. Italy has proposed a new classification for extra virgin olive oil, which it suggests be limited to olive oil with an acidity of no more than 5% (instead of the current 8%). “A proposal must be officially presented to the [IOC] Council of Members so that the Executive Secretariat can take the steps necessary to study the issue at hand.” In market news: worldwide table olive consumption has increased by 178.7% since 1990. In the first two months of 2018/19 crop year, October to November 2018, eight markets increased their olive oil imports, compared to the same time last year: Australia (38%), Brazil (31%), Russia (25%), Japan (19%), Canada (15%), and China (5%). Extra virgin olive oil prices in Italy have continued to increase and remain far higher than in Spain, Greece, and Tunisia. Vassilis Zampounis writes in Olivenews.gr that the Greek olive oil market is now characterized by low demand and low prices, since excellent extra virgin olive oils (EVOOs) are much less common than last year, with some exceptions for very high quality EVOOs in Laconia and Crete. "Small-scale Greek producers are taking a gamble that the risk of investing in organic olive oil production will pay off. Some say Greece has the ideal conditions in which to do so." Danielle Pacheco provides an overview of the big picture of olive oil production this year according to European Commission figures, with Greece producing the 2nd largest amount of olive oil, after Spain, and the total production worldwide not too much less than last year. Vassilis Zampounis writes in Olivenews.gr that "official information from the Spanish Ministry" leads him to expect 1.6 million metric tons of olive oil from Spain this crop year, rather than the more optimistic 1.76 million estimated by the European Commission. At the 108th meeting of the Council of Members of the International Olive Council (IOC) in November, the rotating leadership was transferred from Argentina to Egypt. In the context of a World Olive Day celebration, the newsletter offered an overview of who is involved with the IOC, and what the IOC does. At a CO2 International Seminar, the IOC’s algorithm to calculate the carbon footprint of olive oil was presented and discussed, and additional research on olive trees’ ability to extract carbon from the atmosphere was encouraged. The topics covered at the 52nd meeting of the Advisory Committee on olive oil and table olives were mentioned. The rest of the newsletter focused on world trade in olive oil and table olives, noting a significant decrease in olive oil imports in the 2017/18 crop year in Brazil and Canada and a slight decline in the USA, and discussing fluctuations in olive oil prices through mid November, as compared to the previous year. A very informative article about expectations for European olive oil production and consumption from Mercacei. 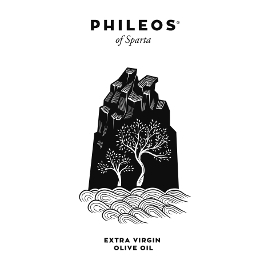 A 500-ml bottle of extra virgin olive oil made from the olives of ancient trees around Ierapetra, Crete was sold recently for €510 at an auction in the Netherlands. Vassilis Zampounis updated his expectations for olive oil production from the major Mediterranean producers on Olivenews.gr. The big picture, worldwide, is better than he had expected earlier, although that is not true for Greece. Costas Vasilopoulos provides an overview of expectations for this year's Greek olive oil production in Olive Oil Times, noting that "a reduction in quality and quantity is expected in the majority of olive oil making territories compared to last year." Earlier forecasts called for less olive oil production worldwide this year; what is noteworthy here is that the decrease now looks like 5.5% rather than the more concerning 8% drop predicted earlier. This article describes "an international seminar on olive and climate change, which analyzed the positive environmental impact of this crop," at the headquarters of the International Olive Oil Council (IOC) in Madrid, where World Olive Day was also celebrated. The International Olive Council’s (IOC’s) Market Newsletter for October begins with an overview of Brazilian olive oil imports (only 1% from Greece), a September meeting about how to “to prevent, control and mitigate the effects of the bacteria Xylella fastidiosa (Xf) in olive trees” and a December seminar on “Integrated Action against Xylella fastidiosa to Protect Olive Trees and International Trade,” then moves on to world trade in olive oil and table olives. Notable figures for October 2017- August 2018 include a 28% in imports of olive oil into Brazil and 16% increase into Canada, and an 89% increase in imports into the EU, especially from Tunisia. OIive oil producer prices fell slightly in Spain and Greece in recent weeks, while passing 5 euros per kg by mid October in Italy. The Aristoleo team took some high phenolic extra virgin olive oils to SIAL Paris recently, showcasing some extra healthy EVOOs on the world's stage. In this article (in Greek), Vassilis Zampounis reports that the powerful Xenophon and Zorba storms that hit Greece this fall led to reduced expectations for the country’s olive oil production; instead of the 240,000 metric tons he predicted before, he now expects 210,000 from Greece. On the other hand, his prediction for Italy is unchanged at 190,000, while the forecast for Spain has improved, going up to 1.6 million metric tons. This is an interesting summary of many of the topics covered at the recent conference at Yale School of Public Health, which convened a committee to plan a new olive institute at this prestigious American university. Naturally, this includes the olive and olive oil sectors. Solutions mentioned here and elsewhere include increased branding (vs. bulk sales), promotion of PDO products, and links to agrotourism ventures. "Seven companies in Greece that produce table olives and extra virgin and virgin olive oil were the first in the country to display a 'Greek Mark' on their labeling, part of a project to distinguish Greek products in foreign markets." Forecasts of the Olive Oil Campaign 2018/19: How is it developing in the main producing countries? Mercacei offers a rather different estimate of olive oil production in the main producing countries compared to the International Olive Council (IOC), especially regarding Italy, but doesn’t mention Turkey: Spain 1.63 million metric tons; Greece 220,000 -230,000; Italy 150,000 - 210,000; Tunisia 120,000 - 140,000; Morocco 120,000 - 140,000; Portugal 90,000 - 110,000. The IOC estimated: Spain, 1,550,000 metric tons; Italy, 270,000; Greece, 240,000; Turkey, 183,000; Morocco, 145,000; Portugal, 130,000; Tunisia, 120,000. The IOC reports on provisional data for global olive oil production for the 2017/18 crop year, with 3,315,000 metric tons produced overall, which is a 28% increase compared to the previous crop year, and a 9% consumption increase. The major producing countries for 2017/18 were Spain (1,256,200 metric tons), Italy (428,900), Greece (346,000), Tunisia (280,000), Turkey (263,000), Morocco (140,000), and Portugal (134,800), according to figures provided by each country. Except for Spain, whose production had fallen by 2.7%, each of these countries enjoyed a significant increase in production compared to the previous year, although the increase varied from 27% in Morocco to 180% in Tunisia. “According to the official country data and the estimates of the IOC Executive Secretariat, world production in 2018/19 is estimated at around 3 064 000 t, which would be a decrease of approximately 7.6% compared to the previous year. Consumption is expected at 2 916 500 t…. At this point in the year it is still too early to judge the accuracy of these estimates and the figures that the Council of Members will examine at the end of November will be more solid, unless exceptional weather conditions intervene.” Specifically, these are the current forecasts for major producing countries: Spain, 1,550,000 metric tons; Italy, 270,000; Greece, 240,000; Turkey, 183,000; Morocco, 145,000; Portugal, 130,000; Tunisia, 120,000. For table olives, “world production for the 2018/19 crop year is estimated at 2 735 500 t, a 7% decrease compared to the previous crop year.” Tables provide an overview of imports of olive oil and table olives during most of the 2017/18 crop year, and graphs show major producer countries’ olive oil price fluctuations over the last few years. This is Daniel Dawson's summary for Olive Oil Times of the International Olive Council newsletter I also summarized a bit differently above. Mercacei reports on the European Union's olive oil market in the last production year, as well as providing estimates for this year, including expectations for 240,000 metric tons of olive oil from Greece in the harvest year starting now. Compared to last year, the Greek olive harvest is "expected to be slimmer mainly due to the production cycle of the olive trees, and the olive fruit fly has again made its presence felt in many areas of the country." However, some growers are more hopeful than others; the situation is not uniform throughout the country. As Daniel Dawson writes, "The conference will gather industry members from an array of disciplines to plan the formation of an olive oil think tank." As Costas Vasilopoulos writes for Olive Oil Times in his summary of some of the benefits of the new deal, "By discarding its own labeling rules and by adopting the rules of the IOC, Japan will make it a lot easier for bottlers and exporters to send their olive oils to this part of the Far East.... The Office for Economic and Commercial Affairs of the Greek Embassy in Tokyo told us that they foresee an indirect benefit for olive oil from the opening of the Japanese market to EU products, which will prompt consumers to opt for more products from the EU member states." This edition of the International Olive Council’s (IOC’s) Market Newsletter provides an overview of the IOC’s upcoming activities and meetings, including some leading up to World Olive Day on November 22. For example, the IOC’s Statistics Working Group will meet October 1 to discuss estimates for the upcoming and past harvest years, among other topics. Olive oil chemistry and standardization issues, categories, and debates will be addressed at a number of meetings. The newsletter also provides an overview of olive oil trade from October 2017 to June 2018 (and table olives during a similar period), noting a 29% increase of olive oil imports into Brazil and a 98% increase in imports into the European Union from outside the EU, mainly from Tunisia. Changes in producer prices in major olive oil producing countries are also summarized, with significant reductions compared to the same time last year (26-27% less for Greece, Italy, and Spain, 18% less in Tunisia) and considerably higher prices in Italy than in the other three. "Six months after the new rule banning refillable bottles, the restaurants who apply it are still an exception." However, the owner of one exception emphasizes the important goal of the law. "The National Interbranch Olive Oil Association unveiled a strategy to create a stable environment and boost exports." Vassilleios Zampounis's first predictions of how much olive oil there will be in the next harvest year, starting this fall, on his Olive News website. At the 107th session of the International Olive Council (IOC) Council of Members in Buenos Aires (Argentina) from June 18-21, the council discussed updated data on olive oil and table olives for the 2016/17 and 2017/18 crop years (provided here for olive oil). After the council meeting, the IOC and “the Argentine authorities held an international seminar on the olive oil sector in the Americas.” After summarizing what was covered there, the newsletter goes on to discuss world trade in olive oil and table olives, noting changes in imports in major countries from October through April, including a 29% increase of olive oil imports in Brazil, but a 17% decrease of imports in Australia. The newsletter ends with a discussion of olive oil producer price changes in Greece, Italy, Spain, and Tunisia, where prices are all considerably lower than they were a year ago (28-31% lower in the European countries, 18% lower in Tunisia). Prices in Italy and especially Tunisia have been relatively stable in recent weeks, with a slight increase lately in Italy, while prices in Spain and Greece had been falling, then increased a bit in Spain while stabilizing in Greece, according to an IOC chart in the newsletter. Greek scientists in Greece and at Yale University "conducted a study in which they propose measures to advance sustainable olive oil production and advertise the nutritional value of olive oil products, as well as for the creation of a park and museum on the subject in the town" of Delphi, and both Greek officials and Yale University support the proposal. The International Olive Council’s (IOC’s) Market Newsletter for May 2018 opens with a focus on olive and olive oil production, harvesting, consumption, exports, and varieties in Argentina, which currently holds the IOC presidency and will host the IOC’s session of the Council of Members June 18-21. The newsletter then provides an overview of world trade in olive oil and table olives. It discusses olive oil imports in 8 major markets this harvest year, with a significant increase in Brazil (21%), a major decrease in Australia (19%), and smaller changes in other countries. Table olive imports had mainly modest changes. Producer prices for extra virgin olive oil are more than 30% lower than the same time last year in Greece, Italy, and Spain, and down 19% in Tunisia. The International Olive Council's Market Newsletter for April provided updated statistics for olive oil and table olive production in the 2017/18 crop year, mentioned an upcoming international seminar on the Olive Sector in the Americas (June 22, Buenos Aires), discussed promotion campaigns in China and Australia, and offered an overview of world trade in olive oil and table olives, as well as recent trends in producer prices. One noteworthy statistic: "World production (Graph I) for this campaign was estimated in November 2017 at 2 988 500 t, but according to the most recent country figures received, production stands at around 3 271 000 t, which is a 27% increase (+697 000 t) compared to the previous crop year." A Greek professor’s invention helps olive farmers decide the best time to harvest their olives to optimize the health benefits and quantity of their olive oil. A new society has been established in Greece to support development, promotion, collaboration, and education "to improve the prospects of the Greek olive sector, while shaping a better environment for the flagship products of Greece: olive oil and table olives." At the 51st meeting of the Advisory Committee of the International Olive Council (IOC), "the Advisory Committee addressed a number of questions and reaffirmed the validity of the panel test for the organoleptic assessment of virgin olive oils, calling for its reinforced application and protection from false reports which helped neither the sector nor the Organisation." More good news about olive oil: it is good for the environment as well as for human health, because olive trees absorb a lot of carbon dioxide. The International Olive Council (IOC) discusses worldwide olive oil production and consumption trends. The Greek Ministry of Agriculture and Food has notified regional and local authorities about the outbreak in Spain, and vigilance is necessary in Greece. Following a discussion of historical and current olive and olive oil production in Jordan, the newsletter continues to a discussion of olive oil and olive imports into selected countries from September or October to January and concludes with a summary of olive oil producer price trends in major producing countries. Extra virgin olive oil producer prices decreased in Spain and Greece over the last few weeks and remained stable in Italy, with prices in all three countries (especially Italy) lower than during the same period last year. The story of the Pierrakos family, Greek immigrants to the USA who dedicated themselves to producing and bottling high quality 100% Greek extra virgin olive oil before many Greeks had started doing that. This is a summary of an in-depth study of olive oil in the American market. The study was drafted by the Greek Embassy's Office of Economic and Commercial Affairs. The International Olive Council’s February Market Newsletter opens with a spotlight on the Japanese olive oil market, noting growth in its import market since 1991 and in consumption since 1997 and discussing Japanese olive oil production, imports, consumption, knowledge, and interest in quality. (Only 1% of the olive oil imported into Japan comes from Greece.) The newsletter then turns to worldwide trade in olive oil and table olives, noting slight increases and larger decreases in imports of olive oil and olive pomace oil from October to December 2017 in several key countries, and a 40% increase in imports into the EU, especially from Tunisia, Argentina, and Morocco. Table olive imports also fell in several countries. Recently, producer prices for olive oil decreased slightly in Spain, Italy, Greece, and Tunisia, with the first three countries’ prices all lower than a year ago (especially Italy’s). As Isabel Putinja write for Olive Oil Times, "Makri is an indigenous Greek olive variety cultivated in Alexandroupoli in northeastern Greece close to the border with Turkey, a region located in the western part of the geographical and historical region known as Thrace. An application was submitted to the European Commission on January 11 to include the Greek olive variety “Elaiolado Makris” (also often called “Makri”) on the EU’s list of food products with Protected Designation of Origin (PDO) status." The International Olive Council’s (IOC’s) Market Newsletter for January opens with a reference to the IOC’s Olive Oil Promise promotional campaign, which was launched in the USA last month at a scientific conference at the University of California at Davis that focused on olive oil’s health benefits. (A link is provided with abstracts of the papers presented there.) The newsletter discusses and graphs the growth in imports of olive oil over the last 25 years in the USA, the world’s leading importer of olive oil. Increasing imports of bulk olive oil in the USA are noted and graphed, with most coming from Spain. Graphs also indicate the amounts of different types of olive oil imported into the USA in recent years, with extra virgin leading. The newsletter then summarizes key points about world trade in olive oil and table olives, noting a decrease in olive oil imports in several major markets (especially China) in October and November. Extra virgin olive oil producer prices have changed slightly in Spain and Greece but decreased 29% in Italy and 12% in Tunisia compared to last year. The co-writers of the "Olive Encyclopedia: The olive oil" announced on January 23rd the establishment of the "Olive Encyclopedists Society," starting with 29 distinguished scientists interested in interdisciplinary collaboration focused on olives and olive oil. The society supports cooperation among academics, the olive oil industry, and olive growers to foster innovation. Other scientists who share these goals will be invited to join the society later, as well. As Costas Vasilopoulos writes for Olive Oil Times, Xylella fastidiosa has not been detected in Greece, and the government is determined to keep it out. This newsletter discusses the growing worldwide production and consumption of table olives, which was noteworthy, for example, in Greece, which is also increasing table olive production this year by 31% compared to last year. 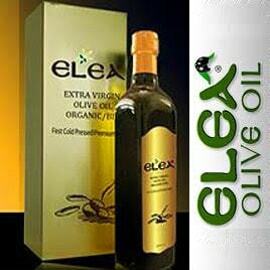 It also mentioned the health benefits of olives and olive oil sales in the previous crop year. The newsletter concluded with an overview of olive oil producer price trends in the main producing countries through the end of December, with prices stable in Spain, falling in Italy and Tunisia, and falling, then stable, in Greece. As Olive Oil Times reports, "Greece seeks to analyze the genome of olives to safekeep its cultivars and make better products." An overview of a very funny series of Greek-language videos about strong rivalries among olive oil producers in different parts of Greece, poking fun at regional stereotypes while emphasizing each area's pride in its own olive oil and great care to produce an excellent product. The videos are here, but there are not yet any English captions. This is a Spanish perspective on a new Greek law, which resembles an older Spanish regulation. Research under way in Crete, Greece and with various partners around the world seeks to collect samples to save in order to preserve genetic variety, "to increase sustainability and olive oil quality...and to face existing and new problems," including those related to climate change. This is an overview of expectations for the major European olive oil producing countries, including Greece. Coming to Greek restaurant tables in the new year: sealed bottles of high quality Greek olive oil! In its Market Newsletter for November 2017, the International Olive Council discussed world olive oil production figures for the 2016/17 and 2017/18 crop years, with Greece's 195,000 metric tons in 2nd place behind Spain worldwide in the earlier period. “The latest official national estimates” call for a 14% increase in world olive oil production for 2017/18, with Spain expected to produce 1,090,500 metric tons, Italy 320,000, and Greece 300,000. Notable increases in consumption were reported in Brazil, China, and Australia for 2016/17. World trade and producer prices are also covered in the newsletter; producer prices have fallen in all the major producing countries in recent weeks. Data adopted at the 106th session of the International Olive Council (Madrid ,Spain), 21-24 November 2017, on olive oil production, imports, consumption, and exports for the crop years from 2015/16 to 2017/18, the latter an estimate. "While Mykonos, Santorini, and the other small islands of the Cyclades in the Aegean Sea are famous to vacationers, they also make olive oil the locals are proud of." In September, the two Greek olive oil packers’ associations, SEVITEL and ESVITE, officially merged into one under SEVITEL, the Association of Greek Industries and Packers of Olive Oil, following a unanimous decision by the general assemblies of the members of both organizations. Mercacei offers an updated forecast for the 2017/18 olive harvest year, but it is incomplete regarding Greece. This article actually says more about the state of the Greek olive oil market than the conference, and hence will be of general interest to Anglophones as well as Greeks. A new contest in Greece sponsored by the Friends of Olive Oil (FILAIOS) focuses on innovation in the Greek olive oil world (not on olive oil quality, but on innovation at all stages, "from the fields to the shelves"). "Dry conditions over the last six months in Greece have created anxiety in the olive oil industry over yield this season. Producers are reporting, however, that their production might be better than expected." Greeks hope the upcoming enforcement of a law requiring use of bottled and branded olive oil on restaurant tables will bring Greek extra virgin olive oil more of the recognition it deserves worldwide. This article mentions an Athens event that will discuss this, among other topics. Vassilis Zampounis writes in Olive News (so far only in Greek) that olive oil prices seemed higher than last year in Greece as of October 23. However, the recent rains in Greece were generally beneficial for both olive oil quantity and quality. There is evidence, for example in Spain, that the market expects a gradual price decline. Spain's production, though, is expected to be a modest 1.1 to 1.15 million metric tons this harvest year, with some quality problems. Other Mediterranean countries, including Tunisia with 300,000 tons forecast, will have to compensate for Spain's shortfall. This is Isabel Putinja's interesting, concise summary of a 12-page European Parliament report (available in full here) focused on the European Union olive and olive oil sector, including a number of statistics, for example about how much is produced, imported, and exported where. Mercacei reports on the European Commission's expectations for European olive oil production, prices, exports, and demand. This newsletter provides provisional data for olive oil production in the 2016/17 crop year, according to the IOC Statistics Working Group, which expected total worldwide production of 2,538,000 metric tons, or a 20% decrease compared to the preceding crop year. For example, production was expected to come to 1,283,600 tons in Spain (-8.5%), 195,000 in Greece (39%), 182,300 in Italy (-62%), 177,000 in Turkey (+24%), 110,000 in Morocco (-15%), and 100,000 in Tunisia (-29%). Country data and IOC Executive Secretariat estimates for 2017/18 worldwide production called for 2,854,000 metric tons, or 12% more than the previous year, although the report indicates that more solid estimates will come at the end of November. Spain was expecting 1,150,000 metric tons of olive oil (-10%), Italy 320,000 (+75%), Greece 300,000 (+54%), Tunisia 220,000 (+120%), Turkey 180,000 (+2%), Morocco 120,000 (+9%), and Portugal 110,000 (+58%). The newsletter also provides table olive production estimates for the 2017/18 crop year and reports on world trade in olive oil and table olives and producer prices. Mercacei summarizes International Olive Council (IOC) estimates of 2016/17 worldwide olive oil production, 2017/18 expected production, prices, consumption, and trade, as well as expected table olive production for the coming harvest year. "Agricultural innovation, price volatility and marketing standards are some of the main challenges that the European olive oil sector is facing, according to a report published by the European Union Parliament's Research Service (EPRS)." This informative article discusses each challenge. Vassilis Zampounis's latest estimates for olive oil production in the major olive oil producing countries in the upcoming crop year, from his online Olive News publication. In this article in Olive News, Vassilis Zampounis provides the latest predictions for the upcoming crop year's olive oil production in Greece. Most areas in Greece expect an increase in production compared to the 2016/17 crop year. The June newsletter covers the following topics: olive oil import trends in China, the International Olive Council’s (IOC’s) proposal that the World Customs Organization consider “aligning the customs headings with the definitions established in the IOC standard for olive oils and olive-pomace oils, providing a definition for each heading,” world trade in olive oil and table olives, and olive oil producer prices. Imports in olive oil and olive pomace oil have increased by 36% in Brazil, 32% in Australia, 17% in China, 8% in Canada, and 4% in Japan in the first 7 months of the current harvest year, compared with last year. Producer prices for extra virgin olive oil have decreased a bit in recent weeks in Spain, Italy, and Tunisia, while remaining stable in Greece. Prices in Italy are 66% higher than last year, and approximately 30% higher than last year in the other three main producing countries. This is the second estimate I've seen for the next harvest year's olive oil production worldwide. Here are some of the first predictions for the next olive oil season, from Vassilis Zampounis in Olive News. This is a report on what was discussed at the meeting in Rome from May 23 to 26, 2017. The International Olive Council's (IOC's) Market Newsletter for April 2017 discusses olive growing and olive oil production, consumption, and exports in Italy and then provides more general information about the following: selected olive oil imports worldwide (with large increases in Australia, Brazil, and China); table olive imports; and producer prices in the main olive oil producing countries (considerably higher than in the same period last year, especially in Italy, but less so in Greece). A report on a study coordinated by professors from Spain and Uruguay includes data about the area covered by olive groves worldwide and in leading countries, as well as information about irrigation, olive and olive oil consumption, related employment, and more. Vassilis Zambounis discusses recent prices for Mediterranean olive oil and varying predictions for price changes in the coming months. Vassilis Zampounis writes in Greek in Olive News that “international consumption triumphs” over difficulties in the olive oil world. As he shows in a chart with his Greek article on the subject, the main olive oil importing countries “are showing excellent behavior, significantly increasing consumption …despite rising prices, offsetting any problems” with decreasing consumption “in Mediterranean countries…and presaging exciting developments.” Specifically, Zampounis reports, “imports (consumption) rose by 73% in Australia, 37% in Brazil, 31.5% in China, nearly 20% in Canada, 16% in Japan and 4.5% in the US” from October 2016 to January 2017. At a conference organized by the Society of Olive and Olive Oil Products of Certified Quality (EL3P) at the Agricultural University of Athens (AUA) on March 23, experts focused on olive and olive oil quality and the current situation of the Greek olive oil industry. This article is in Greek, but as it offers an important update on Spanish olive oil production, I summarize it here. Vassilis Zampounis reports in Olive News that the Spanish Ministry of Agriculture announced Spain’s latest olive oil production figures, as of the end of February, for the 2016/17 harvest year. Zampounis reports that February output in Spain was 156,578 metric tons, so that the entire 2016/17 marketing year reaches 1,229,289 metric tons in that country. With little more expected in March, the target of 1.3 million tons will only be approached, but not achieved. Even so, Zampounis suggests that with the end of uncertainty about Spanish production, the markets should now be calmed. "Olive oil prices are 30% higher than the EU average for the last five years (38% regarding Italy) and are expected to remain that way or even higher due to the lower harvest, to the constant demand and the weakness of the supply in third countries, as well as to the insufficient rain registered so far with regard to the next production cycle in Spain, according to a report by the European Commission (EC)." This newsletter discusses olive oil's health benefits; significant increases in the olive oil market in China since 2001; IOC meetings about Xylella fastidiosa and a pilot nursery project; increased olive oil sales in countries including Australia, Brazil, China, Canada, and Japan; table olive trade; and EVOO producer prices, which have continued to increase in Spain and Italy but remain stable, and generally lowest, in Greece. This newsletter explains that table olives strengthen immune systems with their probiotic microorganisms and offer antioxidants especially important to athletes, notes a 182% increase in table olive consumption worldwide since 1990, charts the olive consumption levels in a number of countries, discusses increased olive oil imports at the beginning of the current crop year, considers the table olive trade so far, and surveys olive oil producer prices during the crop year so far and over the past few years. "The International Olive Council (IOC) participated in the 22nd session of the Conference of the Parties to the United Nations Framework Convention on Climate Change (COP22), which was held in Marrakech (Morocco) from 7 to 18 November 2016, and whereby the UN sought to adopt a framework for action against global warming." The IOC explained "how, through the adoption of appropriate agricultural practices, olive trees can contribute to reducing greenhouse gas emissions."